Integra's HSU-100 Sanitary Hose Rack is the ideal solution to protecting and organizing your valuable hose assembly investment. The HSU-100 is constructed from electropolished 304 stainless steel and features a unique arch shaped design that ensures 100% drainability. Integra Companies recently announced the 25th anniversary of the HSU-100 Sanitary Hose Rack. 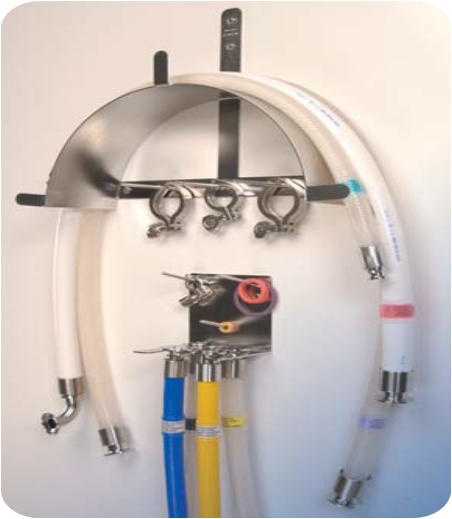 For many years now, this innovative hose storage unit has proven to be the successful solution to organizing and protecting costly hose assemblies in biopharmaceutical cleanroom environments. Hose assemblies, particularly in high purity applications, are considerable investments and critical to safe and effective operation of any facility. One of the common causes of hose failure is due to improper handling and storage methods. Integra's HSU-100 Sanitary Hose Racks extend hose working life by keeping hoses organized, off the floor and consistent with cGMP requirements. The easy-to- assemble HSU-100 Sanitary Hose Rack is a stationary unit constructed from electropolished 304 stainless steel that meets all FDA and 3A regulations. 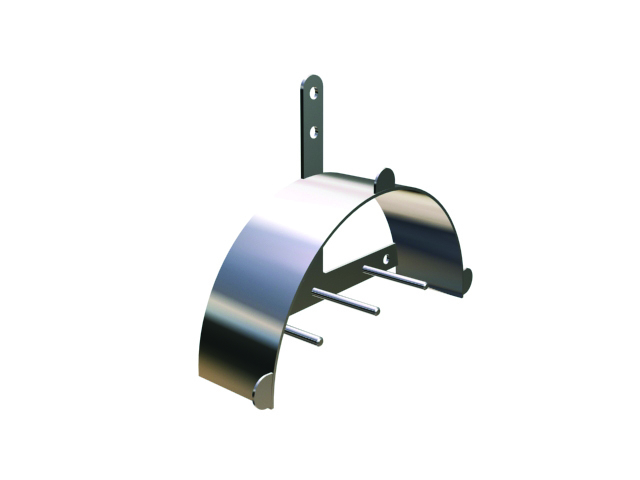 Its unique arch style design accommodates a multitude of hose assembly types and sizes and guarantees full drainability. 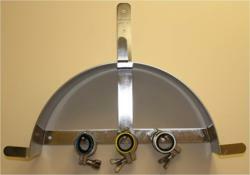 The unit features three horizontal pegs to store sanitary gaskets, clamps and adapters in one convenient location. Integra's HSU-100 is the perfect solution to properly storing costly hoses and contributing to a safer, cleaner and more organized work environment. Contact Integra today to learn more about the incomparable HSU-100! Click here learn more about Integra's line of Hose Racks! Integra Companies is the leading, single-source provider of fluid handling solutions for high purity applications. By combining the best in design and specification, manufacturing and custom fabrication – plus complete distribution – our experienced team can help you chose just the right products for your needs. Visit our website at http://www.integracompanies.com. Unique Arch Design that guarantees 100% drainability! Store hoses assemblies, sanitary gaskets, clamps and adapters in one convenient location!